There's something delicious happening in Toronto lately. 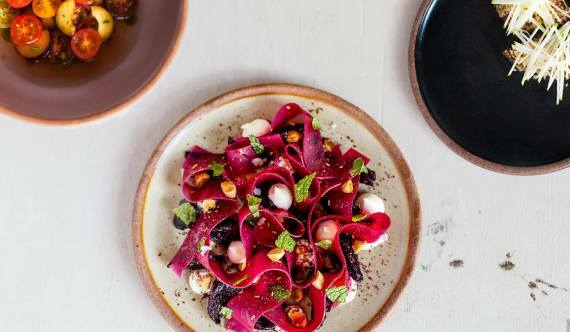 With many new spots popping up in and around the downtown core since the summer, fall is a great time to revisit that restaurant bucket list, but also see what's trending in the world of food. Poké and sushi burritos definitely seem to be city favourites (since the summer), with restaurants coming up with signature dishes and make-your-own bowl features. And although we don't have any dessert options on this list, we've seen everything from overwhelming milkshakes to Thai ice cream rolls as well. Below we've rounded up some of our favourite buzz-worthy restaurants in Toronto perfect for fall dining. From local ingredients to a focus on comfort food to inspiring cocktails, let us know some of your top eats in 2016. On the menu: Everything from coconut ceviche and chickpea fries as starters, to a carrot hot dog and "crab" cakes for mains. Price point: Small plates range from $10 to $13; larger plates start at $17. The vibe: Planta is stunning. From its tableware to bar area to the interior design, it's definitely a chic atmosphere for dining. 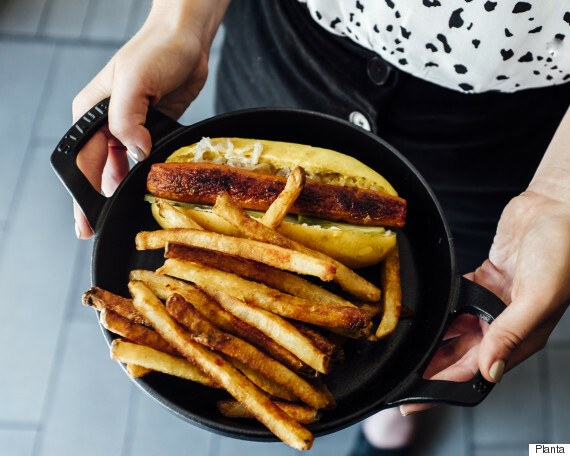 We'd recommend this spot for intimate dinners and with people who have curious taste buds (the carrot hot dog is delicious)! 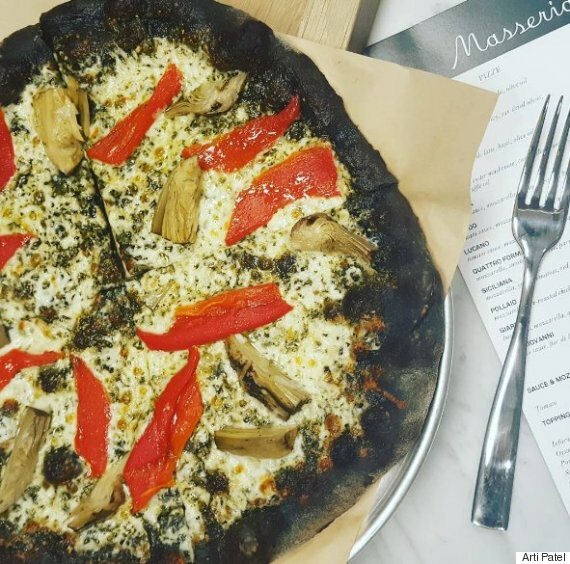 Location: 577 King St W.
On the menu: 12 pizzas on the menu, and an option to build your own pizza and sides. Price point: Pizzas start at $14. 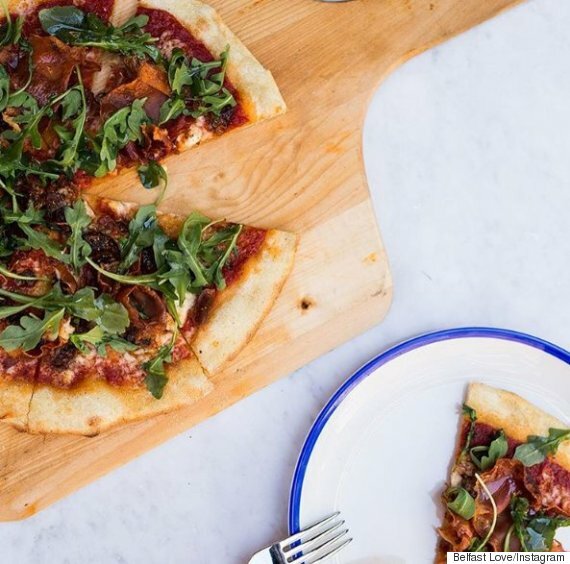 The vibe: Ideal for a quick lunch, this new King Street pizzeria uses vegetable carbon to create a black dough. And with this price point in mind, we recommending sharing a pie. On the menu: Shareable apps, flatbread and a make-your-own pasta service based on regions. Price point: Smaller plates from $9 to $14; large dinners start at $19. 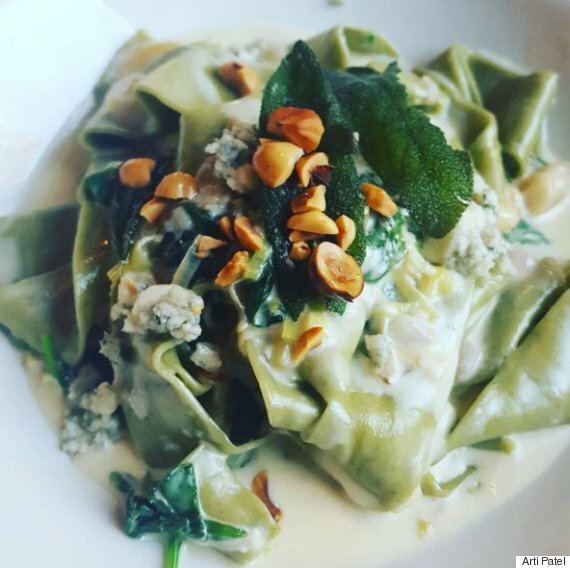 The vibe: Whether you're going for lunch or dinner, Ricarda's has something for everyone. While the main courses were our immediate favourites, make sure you save room for their fresh in-house dessert (the orange cake is a win). Location: 420 Queen St W.
On the menu: Poké bowls and the option to create your own bowls. Price point: Bowls range from $11.95 to $14.95; burritos start at $12.95. The vibe: This is another great lunch spot with fast service and variety — especially if you want a custom bowl or burrito. We also suggest ordering the dole whip. 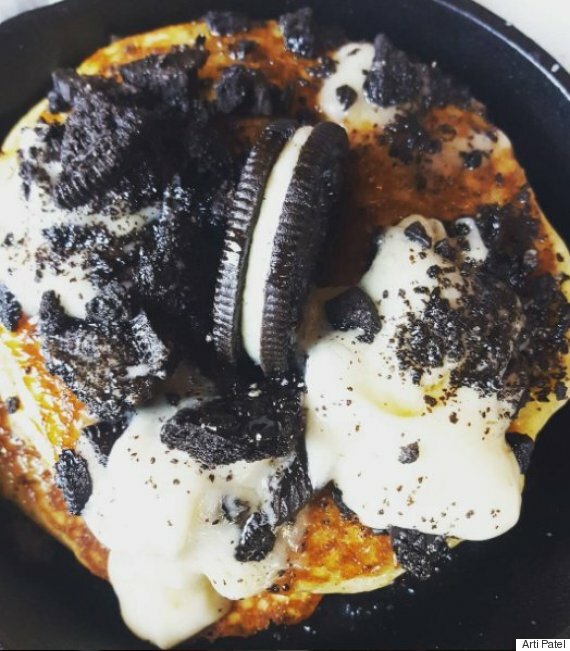 Location: 461 King St W.
On the menu: Oreo pancakes, big egg breakfasts and a homemade cinnamon bun that's not too overbearing. Price point: Mains range from $12 to $18; brunch cocktails start at $7. The vibe: Brassaii itself isn't a new Toronto restaurant, but their brunch offerings did get an update this summer. We suggest starting sharing the Oreo pancakes though — nobody should have this much sugar in one go. Location: 548 King Street W.
On the menu: Thin crust pizzas, red onion rings with mustard and heavier meals like pot pie and steak. Price point: Pizzas range from $14 to $16; starters range from $7 to $12. The vibe: With warm fall weather in Toronto, we definitely recommend checking out the restaurant's outdoor side street patio. Order apps and pizza for sharing, and take advantage of their lounge-like vibes on Friday and weekend nights. 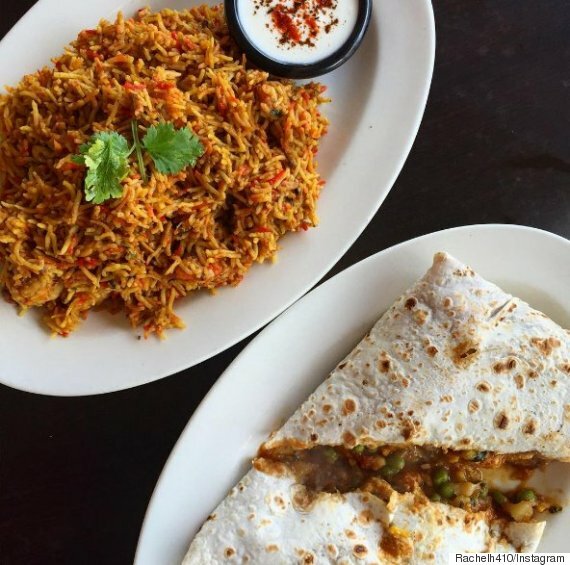 Location: 150 E Liberty St.
On the menu: A focus on rotis (both meat and vegetarian) and rice dishes. Price point: Rotis start at $6.95; rice dishes range from $8.95 to $12.95. The vibe: Their second location is now open in Liberty Village; it's a typical take-out restaurant. Location: 367 King Street W.
On the menu: The small space focuses on poké bowls, superfood smoothie bowls and healthy drinks (like superfood smoothies). 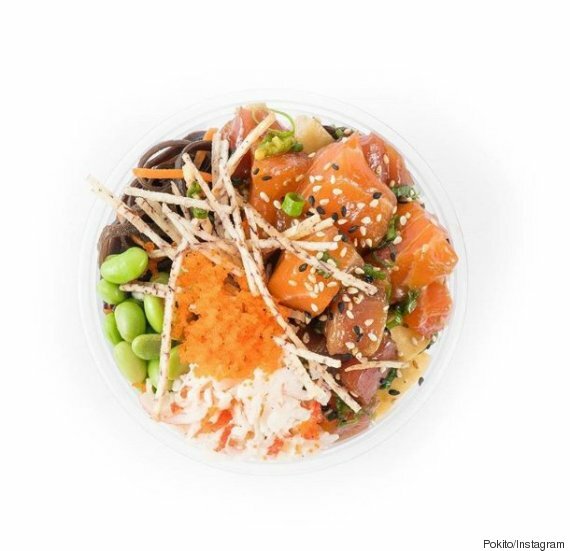 Price point: A small poké bowl is $10.95; regular is $14.95. Smoothie bowls are all $9.95. 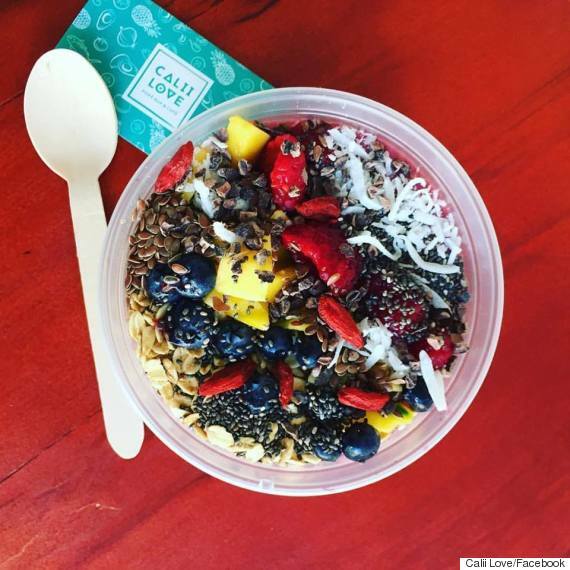 The vibe: With a focus on healthy living, we suggest hitting up Calii Love in the morning hour for a breakfast-to-go. Oh, and take advantage of those Instagram backdrops. On the menu: Deep-fried chicken sandwiches and sides of potato salad, coleslaw and pasta salad. 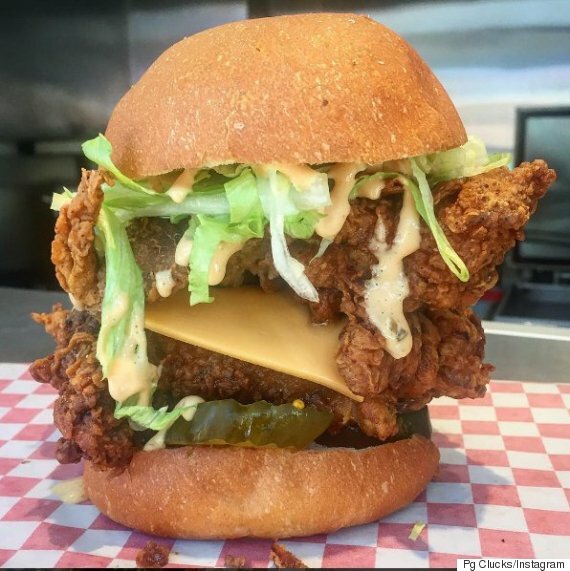 Price point: Sandwiches start at $6.50; chicken pieces with sides start at $8. The vibe: Easy takeout spot that is only open between the hours of 4 p.m. and 11 p.m. between Tuesday and Saturday. And as a recent Toronto Life points out, you have to check our their (sweet) secret menu. On the menu: Everything from small plates to seafood mains to a full breakfast and brunch menu. Price point: Entrees range from $22 to $47; brunch runs up to $28. The vibe: The space is absolutely beautiful, so it's perfect for date night. Also, save room for their custom cocktails. On the menu: All-day brunch (on the weekends) and tapas to share. 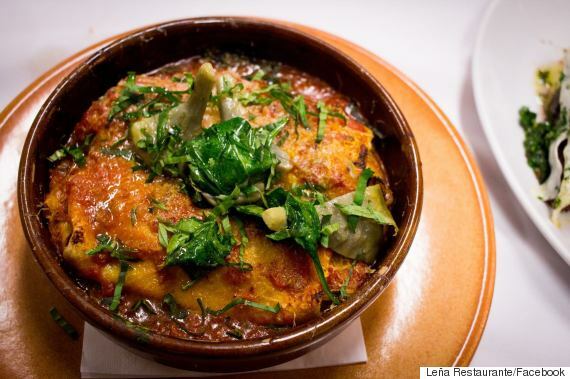 Price point: Both tapas and lunch dishes start at $7. 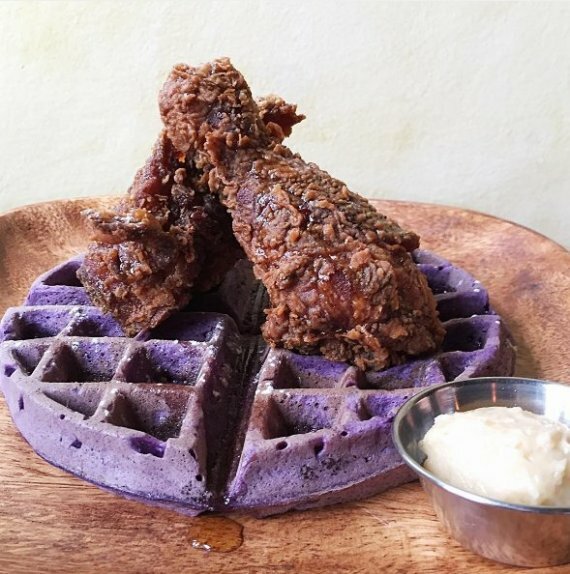 The vibe: One thing you will notice about Platito is everyone's obsession with the bok bok chicken and ube waffles dish — it has almost become a novelty. On the menu: A full brunch menu including an oyster options and prix fixe lunches and dinners. 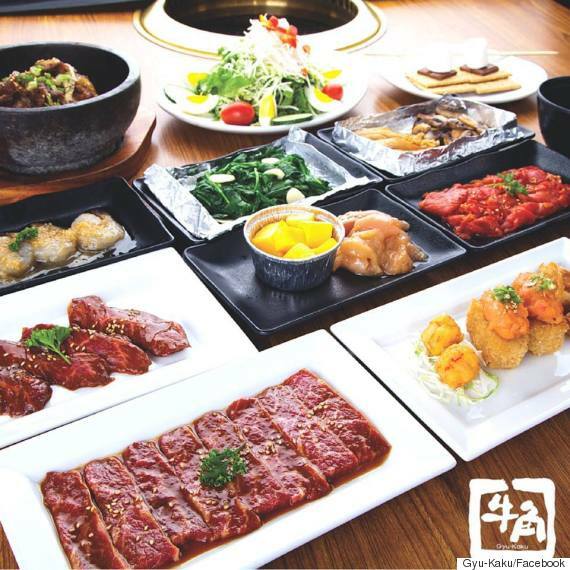 Price point: Dinner mains range from $21 to $159; raw menu (dinner) ranges from $19 to $24. The vibe: Of course, Lavelle is most known for their downtown rooftop views and pool, but with such a selection of food — including a full dessert menu — we suggest splurging a little. 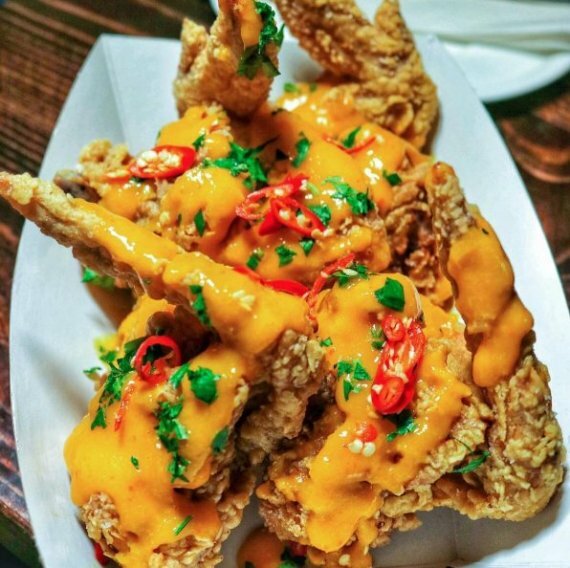 Location: 1532 Dundas St W.
On the menu: Bar food that ranges from death mango wings to collard green poutine and watermelon wasabi fried chicken. Price point: Food sells from $4 to $18 and cocktails start at $7. The vibe: A family-owned joint in the west end, BlogTO notes, Three Hands is mainly a bar with food sharing options. On the menu: Full BBQ courses to share, beef entrees to grill and seafood. Price point: Apps start at $1.50 and group BBQ courses start at $55. The vibe: With locations across the U.S. and some Canadian cities, this is the first location of the franchise in Toronto. This location is super casual with a focus on a la carte, BlogTO notes. Location: 746 Queen St. W.
On the menu: Snacks, starters and mains that focus on fresh, seasonal produce. Price point: Starters range from $15 to $22; mains range from $28 to $59. The vibe: Who doesn't love figuring out exactly what Canadian cuisine is? 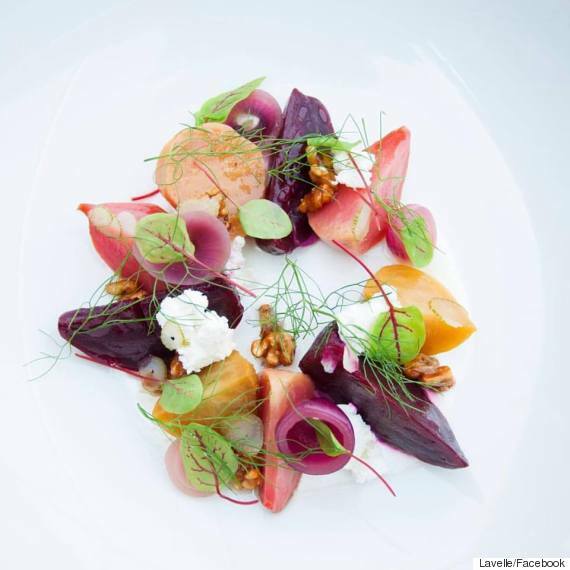 As Toreats notes, the presentation of the dishes are stunning — almost too beautiful to eat!